Rotary International President 2017-2018, Ian H.S. 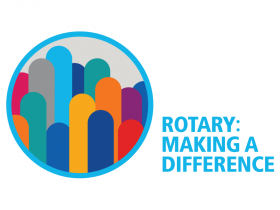 Riseley believes that protecting the environment and curbing climate change are essential to Rotary’s goal of sustainable service. RI President Riseley challenged every Rotary club to make a difference by planting a tree for each of its members between the start of the Rotary year on 1 July and Earth Day on 22 April 2018. Trees remove carbon dioxide and other greenhouse gases from the air, which slows global warming.